This is what a medical miracle looks like. 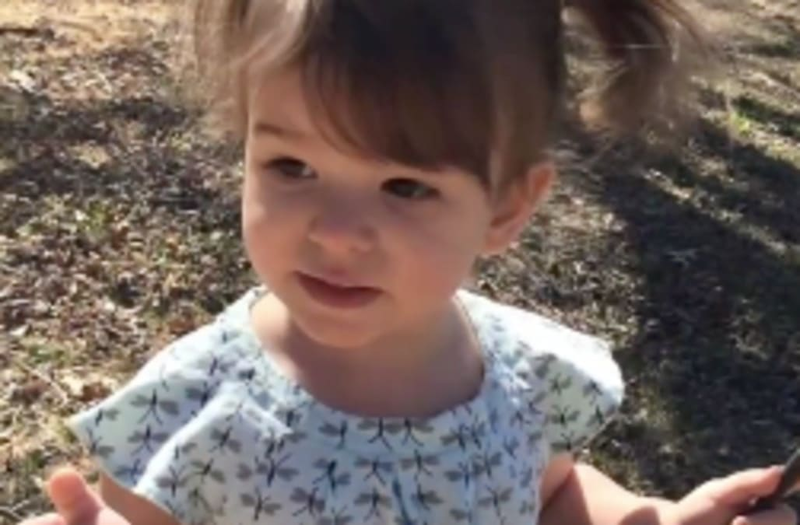 An experimental oxygen treatment has actually reversed extensive brain damage in an Arkansas 2-year-old. In February of 2016, little Eden Carlson broke through her baby gate and nearly drowned in the cold waters of the family pool. Emergency services managed to revive her after two hours without a heartbeat, but she was no longer that same vivacious girl. She'd been left with severe brain damage and couldn't walk or talk. They were told this would be their new normal. But then, the family discovered an experimental oxygen therapy treatment. Paul Harch at LSU Health New Orleans School of Medicine decided to try administering oxygen through Eden's nose at sea-level pressure in 45 minute increments, twice a day. Then a month later, she began breathing pure oxygen in a pressurized chamber five days a week. The results were stunning. By May, Eden was able to laugh, move about, and even speak. Doctors discovered, in what could be a medical first, her brain damage had started reversing itself. The doctor chalked up the remarkable results to an early enough intervention in a young, growing child before long-term tissue degeneration. Now at three years old Eden can go back to enjoying her childhood. Mom Kristal Carlson told USA Today, pretty soon "... it's going to be like she never had an accident."